She worked as General Manager, Training & International Program of the Nobel winner bank for more than a decade and also served as Principal of Grameen Bank’s Central Training Institute. She has worked as consultant, trainer and evaluator of microcredit programs and lectured at different universities, conferences, and seminars in many countries like China, Italy, Spain, India, Pakistan, Germany, USA, UK, Canada, France, Qatar, Thailand, Turkey and Malaysia. She has extensively traveled around the world, gaining huge knowledge in development and women issues. Ms. Nurjahan worked as Deputy Managing Director of Grameen Bank and also worked as its Acting Managing Director when the bank’s founder Professor Muhammad Yunus retired from the bank in May 2011. She retired from Grameen Bank on 14 August 2012, serving about 35 years in the bank. 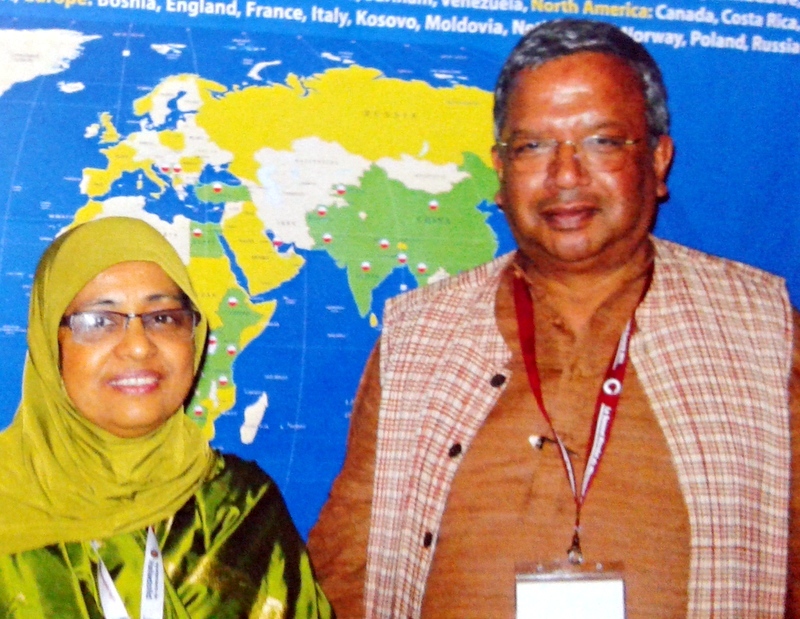 Ms. Nurjahan has been working as honorary managing director of Grameen Shikkha (Education), an organization in the Grameen Bank family with Professor Yunus as its chairman, since Shikkha was established in 1997. Grameen Shikkha is a non-profit organization working in the fields of scholarship management, vocational training, non-formal primary education and early childhood development. It has provided basic literacy skills to more than three thousand illiterate women borrowers of Grameen Bank, scholarship support to more than four thousand poor meritorious rural students about 900 of whom are now in higher studies, pre-school education to more than 150 thousand rural and urban slum children, early childhood care training to about 135 thousand rural women, and early childhood orientation training to about three thousand officials and local elites. Ms. Nurjahan is also working as director in a number of companies like Grameen Trust, Grameen Agricultural and Livestock Foundation, Grameen Shakti, Grameen Knitwear, Grameen Kalyan, Grameen Healthcare Services Ltd., Grameen Telecom, and as chairperson of Grameen Distribution Ltd. She is also on the managing board of Center for Mass Education in Science (CMES), one of leading NGOs in Bangladesh working in the field of human resource development through education and skills training. She also worked as director of Grameenphone Ltd. Bangladesh and Grameen Foundation, USA. Ms. Nurjahan was awarded, besides various other awards and honors, the Susan M. Davis Lifetime Achievement Award for 2008 by Grameen Foundation. She was also awarded World Summit Millennium Development Goals Award 2009 and the Vision Award 2009. My association with Noorjahan Begum goes back to pre-Ujjivan days of July 2003, when I visited Grameen Bank to participate the Grameen Dialogue program to get my first exposure to microfinance. 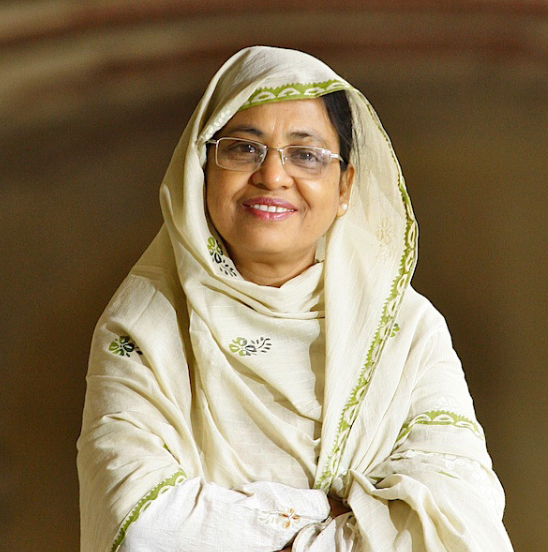 She was a subject of awe & veneration, as one of the pioneers of microfinance in Bangladesh. She was one of Professor Yunus’ student at Chittagong University who joined him in starting the Grameen Bank Project by organizing the women at the famed Jobra village where it all started in 1976. I had the privilege to interact with her a number of times in Bangladesh and at various microfinance summits over the years. Her humility and warmth struck a chord in me that of a sister I never had. Her role in the creation & life-long contribution to Grameen Bank and as the quiet ambassador of microfinance around the world makes her one of outstanding women leaders for financial inclusion in the world.